Your Cadillac is a comfortable, powerful vehicle, but the factory stereo leaves something to be desired. Your Cadillac is a comfortable, powerful vehicle, but the factory stereo leaves something to be desired. 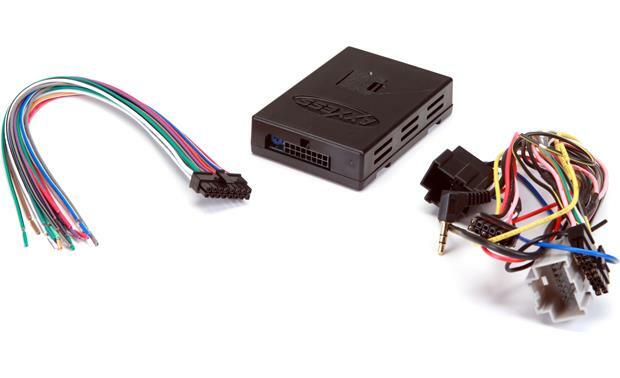 The Axxess GMOS-13 wiring interface allows you to integrate an aftermarket stereo with the amplified sound system in your 2005-2009 Cadillac STS. With this interface, you'll be able to enjoy great sound from your new receiver without losing the car's OnStar and Bluetooth functionality. You'll also retain the factory warning chimes and turn signal indicators that are lost when the factory radio is removed. Even if you don't subscribe to OnStar, you'll still need this interface to connect an aftermarket stereo. 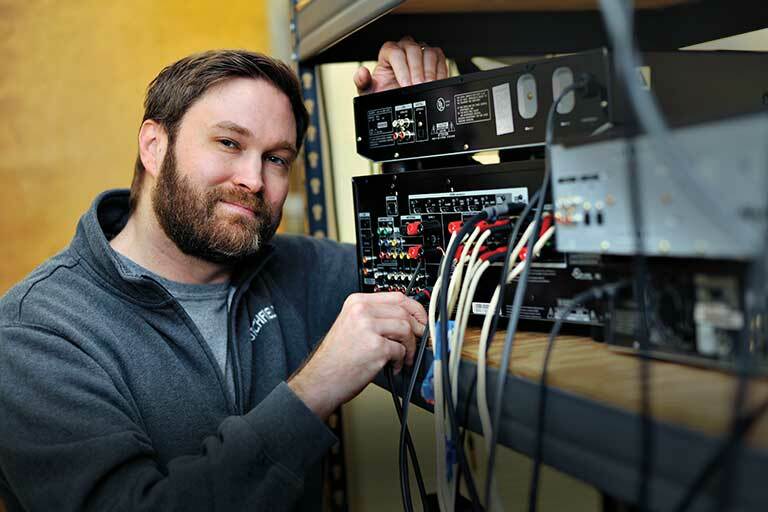 The GMOS-13 interface also provides a 12-volt switched accessory output, along with the Mute, Parking Brake, Speed Sense (VSS) and Reverse outputs you'll need if you're installing an in-dash navigation receiver. Warranty: 1 year. Install was easy product works well in my STS love it. Overview: The GMOS-13 interface is designed to let you replace the OEM radio in a 2006-2009 Cadillac STS with an aftermarket unit and still retain full functionality of the factory amplifier and OnStar system, as well as all safety and warning chimes. The GMOS-13 will also retain the retained accessory power convenience features. This interface has the capability of adjusting chime and OnStar volumes as well. In addition to these features, the GMOS-13 has the required outputs for the installation of a navigation radio (including VSS, parking brake, and reverse outputs). GM Vehicle Compatibility: The GMOS-13 is compatible with the following GM Cadillac vehicles. Note: Please consult Crutchfield's Outfit My Car to see if your vehicle is compatible and what additional accessories will be needed. OEM Steering Wheel Control Compatible (optional): The GMOS-13 features a right-angle 3.5mm connector that lets you keep your GM vehicle's OEM steering wheel controls via the optional Axxess Steering Wheel Control Interface (120ASWC1, sold separately). OnStar & Chime Volume Adjustment: The volume is adjustable for both the OnStar output & the warning chime. When I replaced the factory system I lost all of those features. It wasn't a big deal for me cause I didn't use them that much. I will say that it seemed like when I replaced it, the settings as I had them set stayed but I could not longer go back in and change them. 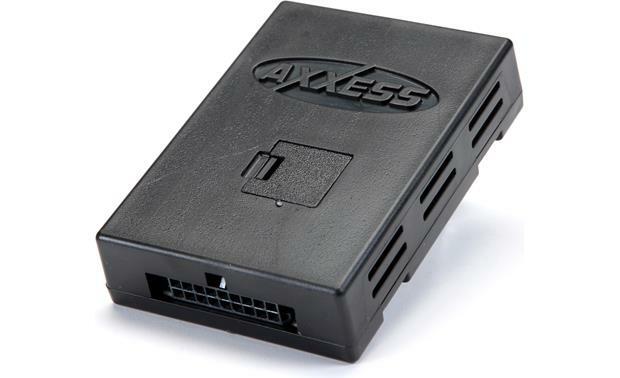 Searches related to the Axxess GMOS-13 Wiring Interface Connect a new car stereo and retain audible warning chimes, Bluetooth®, factory amp, and OnStar® in 2005-09 Cadillac STS models.